My name is Brad Senter, I live on the Texas Gulf Coast in Texas City. I'm 60 years old and a grandfather of 5. 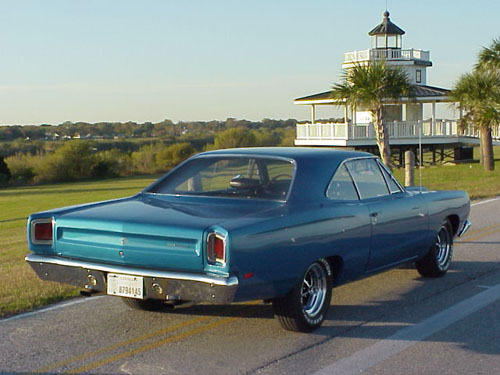 What you see is a totally restored 69 Road runner B-7 Jamaica Blue. 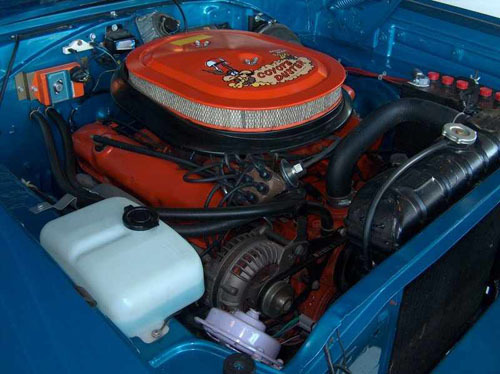 This was originally a 383 car, but it was opted to install a 69 rebuilt 440 with a mild cam. The original 4 speed was replaced with a hemi 4 speed. Otherwise the car is totally original. It's just a show car and Sunday driver. On occasion it's fun to beat up on these kids with their 5.0 Mustangs. The car has been to the track once and ran a mid 13 sec 1/4 mile. I ordered one of these cars, brand new, with a hemi in 1969 for $4400. Don't even try to guess what this one cost. My lovely wife occasionally asks if I'll ever grow up, I certainly hope not. Thanks for letting me share one of my toys.